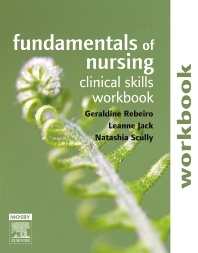 The Fundamentals of Nursing: Clinical skills workbook will support Potter & Perry’s Fundamentals of Nursing 3rd edition in 2012 by providing a separate clinical skills workbook, accompanied by a suite of Australian clinical skills videos. The workbook features the nursing skills from the text, accompanied by an overview at the beginning of each skill set and supported by clinical skill competency check lists aligned with the National Competency Standards for the Registered Nurse. The Bondy rating scale has been incorporated to provide clearly defined levels of competency and an opportunity for reflection is included at the end of each skill to encourage meaningful learning. A suite of clinical skills videos are available online to support the workbook. Ideal for viewing in class, the videos also provide students with a valuable tool for revision prior to assessment.